I have never made any new years resolutions before. This year however I have a few things I would like to accomplish, so I've decided to jot them down really quick. 1. I want to keep this blog active. I tried blogging a few times when I was younger but never kept it going for longer than maybe a month. 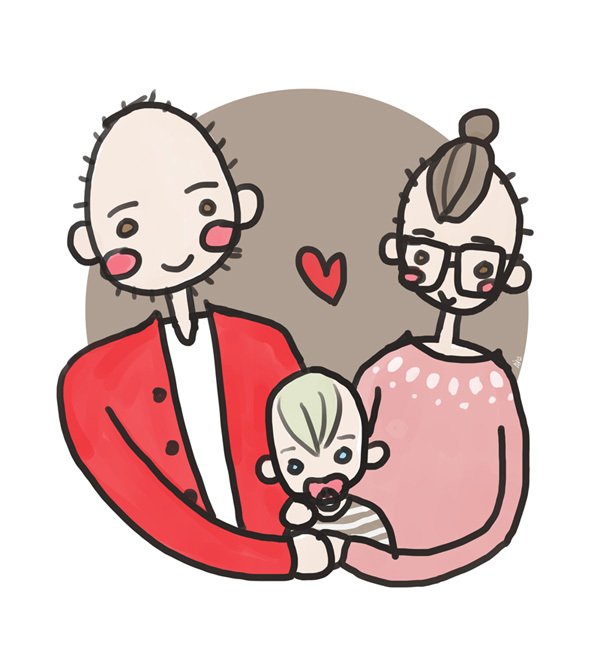 During my pregnancy I started a private blog so our family in Iceland could watch my belly grow. I was able to update the blog regularly and it gave me hope that I would be able to commit to something bigger. 2. I want to DRAW DRAW DRAW. I've been too lazy, so I'm making it a goal to post at least one new drawing here every week. 3. I want to keep growing this strong bond between me and Ylfa. She is such an amazing little being and I love how happy she is all the time. I also want to give my husband a bit more attention. He has been so patient with me since Ylfa was born. 4. I want to make our apartment a home. If we decide to renew our lease next fall, I will make some big changes! I know this will be a good year.